The Frenchman coached the newly-elected Liberia president when they were together at Monaco and lavished praise on his former star. 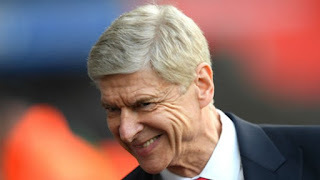 Arsene Wenger spoke glowingly of former player George Weah following his election as Liberian president and confirmed that he has received an invitation to the inauguration. Weah first made a mark on European football at Monaco, when Wenger signed him for the Ligue 1 side in 1988, winning the African Footballer of the Year award for the first time the next year and staying there until joining Paris Saint-Germain in 1992. Although Weah left Wenger and Monaco, he often credited the manager with having a significant influence on his career, as he went on to play for AC Milan in 1995, becoming the first non-European player to win the Ballon d'Or later that year and establishing himself as one of the finest African footballers in history.